Almost four years of fighting have taken a devastating toll on the people of Yemen, and children have suffered most of all. "Nearly 1.5 million children have been displaced, many of them living a life that is a mere shadow of what childhood should be," says UNICEF Regional Director for Middle East and North Africa Geert Cappelaere. 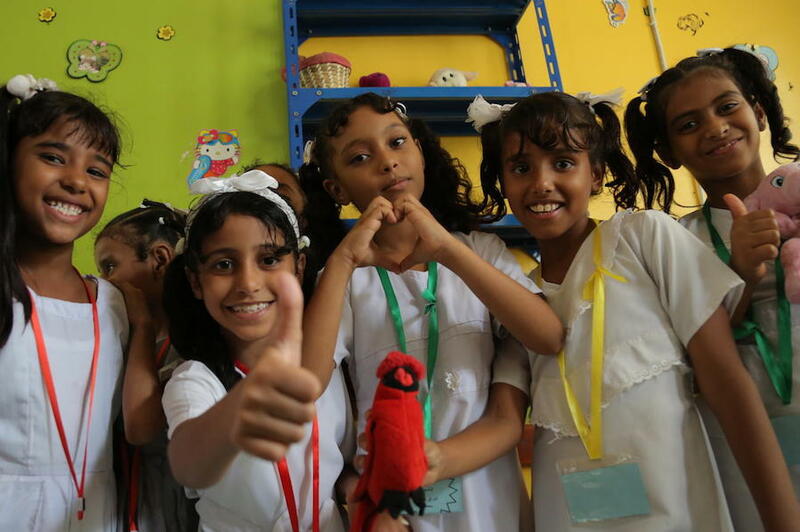 Cappelaere recently visited Yemen to see how UNICEF and partners are helping some of the more than 11 million children — 80 percent of all children in the country — who require humanitarian assistance. As opposing sides meet for peace talks in Sweden, Cappelaere is calling on all parties to "put children and their needs above any other political, military or financial agendas." One-third of all schools in Yemen have been destroyed in the ongoing conflict, or are being used to house the many thousands of displaced people throughout the country. 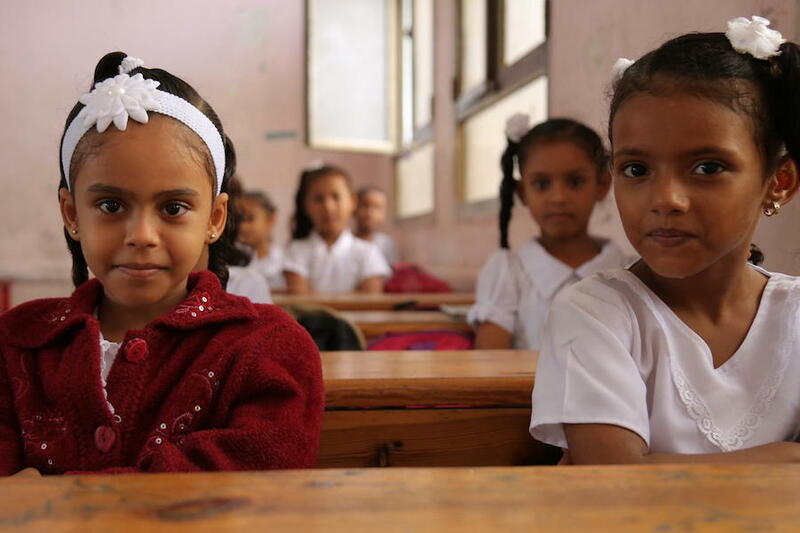 "More than 2 million children in Yemen are out of school," says Cappelaere. "Those who are in school often have to settle for poor quality education in overcrowded classrooms." Two-thirds of Yemen's teachers have not received regular salaries for two years. An estimated 3.7 million more children are at risk of missing out on school if their teachers are forced to find other work to support their families. 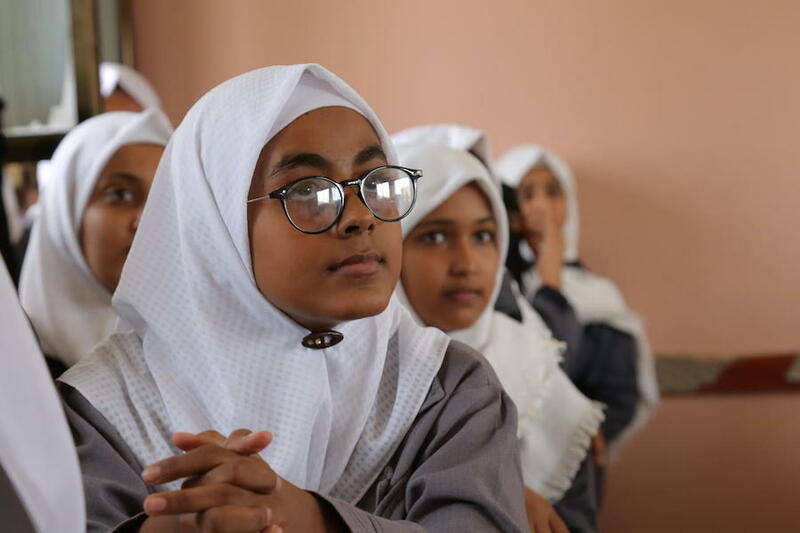 Above, a Yemeni girl reads to Cappelaere at the Ibn Zaidoon School in the southern port city of Aden, where some lucky students are continuing their education. Across the country, "teachers do not have enough school materials," says Cappelaere. "Quality of education is a struggle. But if UNICEF can guarantee that children will be able to go back to school, not only do we bring smiles to the faces of the children, we also guarantee the future of this beautiful country." 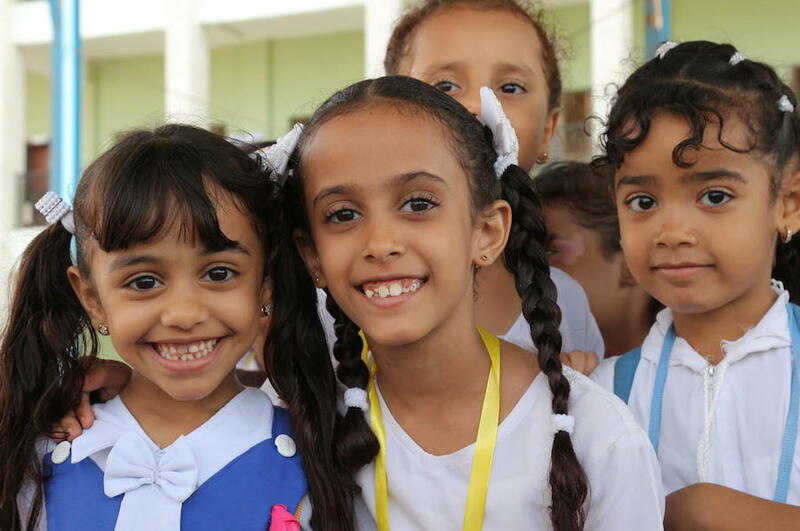 In 2018, UNICEF helped 163,632 children in Yemen continue their educations via improved school environments and alternative learning opportunities. UNICEF also distributed learning supplies, including school bags, to nearly 42,000 children in need. In addition, in 2018 UNICEF and partners provided psychosocial support services and peace-building education to more than 117,000 students affected by the conflict. Children who are not in school are at increased risk of being recruited by armed groups or used as child labor. Out-of school girls are more likely to be forced into early marriage and to experience intimate partner abuse. Yemen remains one of only a handful of nations in the region without a legal minimum age for marriage. Educating girls improves their chances of being active members of their community when they grow up. Girls who complete high school are better equipped to become happier, healthier, more prosperous adults and more likely to have smaller families and healthier, better-educated children. If every girl worldwide received 12 years of quality education, lifetime earnings for women could increase by $15 trillion to $40 trillion globally, according to the World Bank. Every child deserves a healthy childhood, a quality education and hope for the future. "Yemen today is the largest humanitarian operation for UNICEF in the world," says Cappelaere. "To continue responding to children's needs, UNICEF requires more than half a billion US dollars for its operations in 2019. But humanitarian assistance alone is not the solution to this enormous man-made crisis. The only way out of this mayhem is through a man-made political settlement and massive re-investment in Yemen with children at the center." UNICEF and partners are working tirelessly in Yemen, Syria, South Sudan, Bangladesh and around the world to save and protect children. With a presence in 190 countries and territories, UNICEF has helped save more children's lives than any other humanitarian organization in the world.